Our Yorkshire clients had a requirement for a decorative and functional storage area for garden equipment, visible from the house. 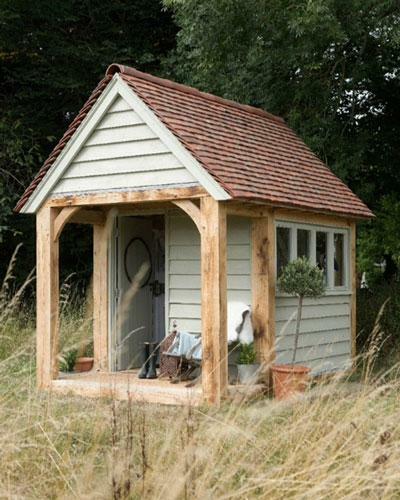 We gave this bespoke garden shed a real countryside feel by incorporating traditional green oak joinery with a rosemary tiled roof. The colour of the painted pre treated softwood element was chosen by the client to compliment features of the main dwelling. Designing and installing Bespoke Garden Sheds throughout Yorkshire has been at our core since the start of our business. Our clients had a requirement for a decorative and functional storage area for garden equipment, visible from the house.